How can you look at a bluebird and not feel happy about the day? Their shimmering blue coats and cheery calls make these feathered wonders popular wherever they are found. 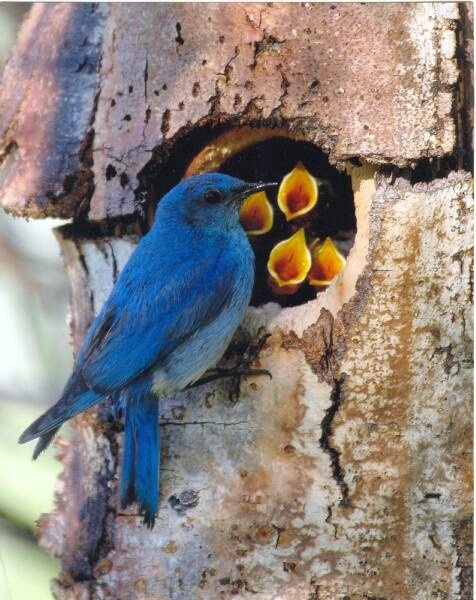 Eastern Bluebirds nest in Georgia, winter populations swell as more northern populations move into the state for the winter. 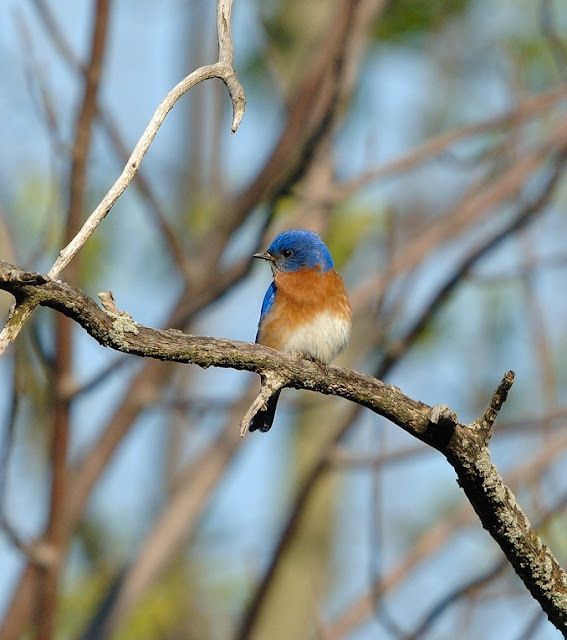 The Eastern Bluebird has a pleasant, musical song and a similar easy-to-identify flight call. They are most often found in open woodlands, parks, fields, along golf courses and cemeteries. The can be found in suburban areas with adequate open space. If you have never been able to see them up-close I have great news for ya! 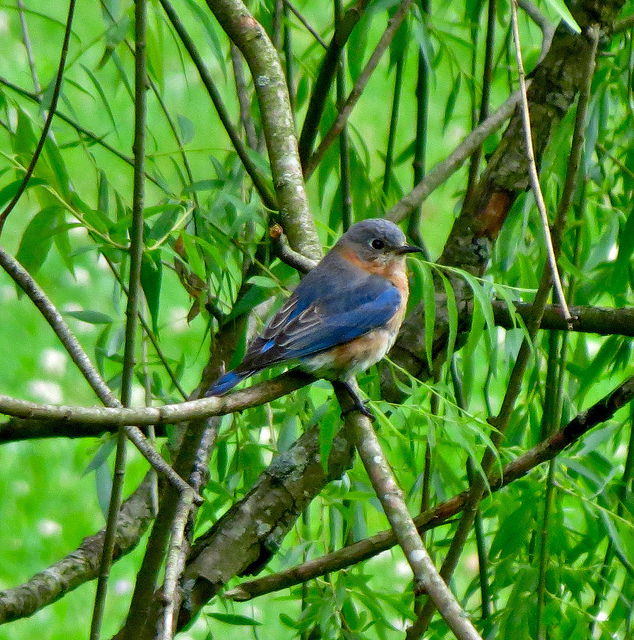 James H. (Sloppy) Floyd State Park is the place you want to be if you want to find the very elusive Eastern Bluebird. Surrounded by rural countryside and the Chattahoochee National Forest, this quiet park in northwest Georgia offers outstanding fishing on two stocked lakes. Visitors can hike along three miles of lake loop trails and relax in swings while watching for the many bluebirds that live in the park. The trailhead to the scenic 60-mile Pinhoti Trail is only a 1.6-mile hike away. Children especially enjoy the playground, feeding ducks from the lake’s boardwalk and renting pedal boats. A small campground and four cottages are nestled on tree-covered hillsides. This park was named for Rep. James H. “Sloppy” Floyd who served in the Georgia House of Representatives from 1953 until 1974.